My search for roads appropriate for Royal Enfield motorcycles took me straight up the center of Florida. I hoped to stay far enough away from the beach towns on either side of the state to truly find myself out in the open country. 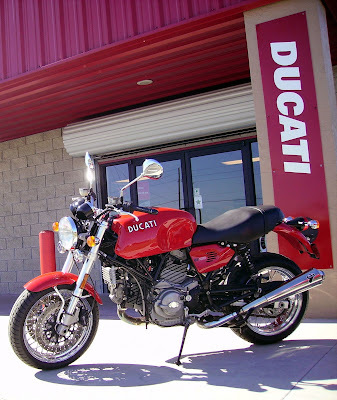 My route up U.S. 441 took me to Ocala, Fla. and a few miles north on Baseline Road out of Belleview found me at a Royal Enfield dealership. 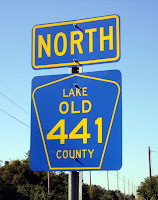 U.S. Highway 441 isn't very pretty in South Florida, where I live. It runs past the incinerator plant and endless rows of big stores. But at its northern end, in Tennessee, it becomes scenic Newfound Gap Road in Great Smoky Mountains National Park. Unfortunately, the path to the MelilliMoto Ducati and Vespa dealership in Ocala was more like the U.S. 441 I know than any national park. 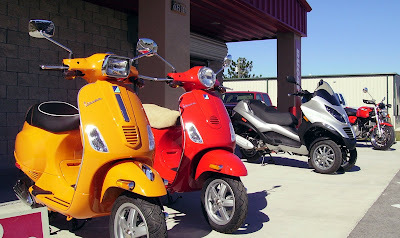 MelilliMoto is a neat and clean building with a showroom and a sizable shop area. The showroom when I got there included no Royal Enfields, however. Owner Sebastian Didato said more are expected in at the beginning of next year. A dealer for three years, he said he thinks interest in Royal Enfields is picking up. I asked if the big complex of golf communities nearby along 441 called The Villages would be a good market for vintage style motorcycles like those retirees would remember from their youth. No, Didato said, the Royal Enfields he has sold did not go to The Villages. Those people were more likely to buy scooters, he said. And, while 441 wasn't the best road for Royal Enfields, there is good motorcycle country around, he said. Glancing at a map, I suspect I should have taken Route 19 through the Ocala National Forest. I'll give that a try next time.